Mobile phones have simplified a lot of things for us. Which now also includes photography and video editing. Earlier you had to have a high-end DSLR camera to get the best shot of the moment. Now with smartphones coming up with fantastic camera features making it possible with just an app on your mobile phone. Today’s modern smartphones have prominence over most of the primary & secondary segment cameras. The emergence of some cool video editing mobile apps available for both Android & iOS smartphones has made video editing hassle-free, now there is no need for transferring files to another device/computers/laptops. Video editing has never been easier. The year 2012 saw a lot of buzz around Instagram, the photo-sharing social platform. It was undoubtedly crowned as the hottest social media platform of the year. At that time, we did feel the need to have some high-quality photo and video editing mobile apps created by a skilled Enterprise Mobile App Development company, and thankfully, today we have plenty of them at our disposal. These apps are brilliant in the video editing sector and also inspire others to create their own video recording and editing app to make a mark in the arena. Now if the idea of making one such app for yourself is already knocking the door of your mind, then let’s begin with the basics. There are three major categories in this segment. Both video recording & editing apps. Founded by Dr. Alex Rav-Achaby and Dr. Oren Boiman (CEO) in 2009. Magisto was formerly known as SightEra. The Magisto video app development works like magic for automated video-editing, focusing on both businesses and consumers. The vision behind this venture was to simplify the process of creating videos, which was contrary to the video editing process of that time. In 2010, Magisto received $5.5 million in funding from Horizon Ventures Partners and Magma Ventures. On September 20th, 2011, it was publicly released by the name of Magisto. Since the app was first of its kind, it gained a massive response from the users and the market. Within two years, the app crossed the mark of 5 million users. In 2014, the firm announced that the app has more than 20 million users worldwide. The firm further said that the app was gaining approximately 2 million users every month. Since the smartphones came up with the video playback feature, the ‘Online video viewing’ saw exponential growth in the market. According to the PointsGroup study, starting from 2012 to 2014, a 400% increase in the mobile video views was registered. Since 50% of the global video viewing took place on smartphones, therefore, it has created enough room for the video editing mobile app industry, as most people prefer to edit videos via a mobile app on the go. What Are The Opportunities In Developing a Video Editing App? The mobile video editing market is estimated to cross $25 billion by 2021, and your video editing app can also have its fair share if you don’t wait till it is too late to get your app developed. In your video editing app, you can include many features like an option to create and publish stories, creating theme-based and filter-based videos and many more for mobile users across the globe. According to recent users’ demand, it can be said that the mobile video market will significantly benefit from these video editing apps. All you need to understand is that market demands innovation, and you will have to make your app unique, to get noticed and move ahead in the game. How To Create Your Own Magisto-Like Video Editing App? 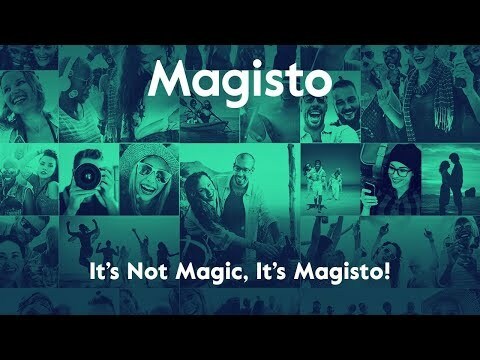 Magisto is not the only video editing app in the market. There are many others, like Vine and Clips, that started from ground zero and made their way up to the top. They managed to get million dollars in funding by Tech Giants and were later bought by them, as happened in the case of Vine, Twitter acquired it. It probably should inspire you to create your own video editing app and launch it in the market. Your app might become the next big thing in the industry, who knows. Uniqueness and creativity are your friends in this journey. With such fierce competition among all the video editing apps, how is your app going to draw the targeted audience’s attention towards it? Before getting into the planning and development part, make sure that you implement your idea thoroughly and do your due diligence before anything. The youth today enjoys sharing funny and cool videos on social media platforms. Hence this young, energetic and socially active lot should be your target audience. So, make your app modern and convenient enough, and load it with some unique features, to stand out in the eyes of your target audience. While your app is under development, you must keep in mind that the user interface should be fluid as no one likes to go through various steps of guide for using one feature or any other. The same is applied to the app’s functionality. It will be advisable, to begin with developing the MVP version at the initial stage. Once you start, you need to get feedback from your users to improve the app accordingly. First, let your users get acquainted with the app, only then begin to consider the feedback. Genuine feedbacks are the sole reason for an app’s success, and it also gives an idea about what new features you should include providing users with a seamless experience. Above all, the app’s functionality should suit the app’s purpose like making sure that the app is fun & easy to use. While you are entering a market and offering the same services, it doesn’t mean that you copy the already existing apps. That way you will only ensure failure for yourself. Instead, include features in your app that are unique, that make your app distinguishable from the lot. Try experimenting with the new technology, like AR, VR, ML in your app. It can help you grab some eyeballs. If you want your app to mince money. Then you can go for advertisements or in-app purchases and paid features. If not thought upon strategically, this can also bring failure to you in the form of an irritated and frustrated user. For instance, imagine that your user is capturing a special moment or maybe he/she is capturing the serene view of any particular landscape, and suddenly there is a full-screen ad banner on the screen. You surely don’t want to trouble the users, do you? The user has created the video he wanted to, and now he wants to share it on Instagram. Shouldn’t he be able to do this instantly from within the app? Of course. Hence, this a crucial aspect. So, try to integrate as much social media support as possible. Once you have taken care of all the above-mentioned aspects, it is time to take a closer look at the features. The table below enlists the essential functions in both the user and the admin panel required in your app. Take a look. By using a few APIs, real-time data can be fetched from the data servers, and a report can be generated to know the users count with a free/paid subscription, the count of users that shared the video, how the users create their video, number of downloads, etc. Making payments has become very easy now, and with the integration of the payment gateways, the users can pay securely for their in-app purchases and subscriptions. To make the transaction process easy for your user, you must integrate not just one or two but multiple payment gateways in your app. Ensure that the app you create has the functionality to load the existing videos for editing as it’s not always the case that the user wants to edit a new video. Users should be allowed to add sound effects or music, be it their own voice, or a soundtrack, and the app should also offer audio filters, such as storm, rain, etc. If you compare your app with the other apps that are already there in the market, then you will realize the importance of the presence of stickers and filters within any video editing app. This feature makes the task of video making a lot less tedious. Users can create videos from vacations, trips or they can even make presentations for work. Artificial intelligence can help your video editing app can do magic. Artificial intelligence adds features like auto-picking up videos & images to create a movie. When you use the magic of AI in your app, it will be able to pick pictures and videos from your gallery for editing. It is an easy way to attract users towards your app and also makes them stick around it. While we have listed so many features above, there is one feature that will make you stand out, and that is your creativity. Do not limit it by any means and use it as well as you can. Magisto is amongst the greatest Instagram video editing apps and it is available on both iOS and Android platform. It targets the ones who lack the time and patience to edit their videos. The editing logic is implemented on the backend so that the user has to pick a theme and the rest is taken care of by the app itself. Later, the user is served with a ready-made movie. Developed by QuVideo Inc, Viva video is available for Android, iOS, and Windows. The app offers many choices like filters, stickers, themes & transitions and text schemes. The app has both premium and a free version; the users can buy the subscription and access the premium version available to shoot unlimited videos & remove the watermark. Developed by AVFoundation, iMovie is Apple’s flagship product. Therefore, it is available for free on the iOS and Mac OS. Allowing users to add animated soundtrack and title to their video and 14 templates for creating a trailer designed by renowned movie producers are the few best features offered by iMovie. With the new updated version of the app, you can even slow down or speed up the video. It also allows users to extract audio quite easily from the videos. Splice is created by GoPro Inc. and is available for free and is one of the best video editing apps in the arena, it is quite powerful. The app allows its users to record short and long videos, add headings & greetings to their recordings, and they can also use their own voice while recording a video. The app can very well synchronize the sound effects with actions on screen. Creating a video editing app like Magisto is quite an extensive process. You must hire the services of a video editing mobile app development firm to get high quality and bug-free app and to ensure this, your development team has to be highly skilled, and all members of it must be proficient in their tasks. Remember, all the careful planning can go down the gutter if the primary process is not executed well enough. You should never compromise on this part. The development team needs to be guided around the various steps in the project and should be well acquainted with the bigger picture of the project. Hence the Project Manager does this task of ensuring smooth execution of the technical aspects of the procedure. The developers are the backbone of your app as these are the people who will develop the app for you. They should be well versed with the required technology stack. Any app must have a glitch-free user interface. Studies have shown that slow and troublesome user interface forms a negative opinion of any brand on the user. Also, the visual quality of the app speaks for the chances of success of the app. These two aspects are taken care of by these designers. The Quality Assurance testers must ensure that all stages of your app meet the quality standards of the market. The role of these people is equally crucial to the development process. Having figured out all of the above, it is now essential to find out the cost required for the development process of a Magisto video editor app. What is the rough estimate of the cost💵 incurred to develop a Magisto-like Video-editor mobile app? The more features you decide to inculcate in your app, the more time and expertise it will demand on the part of the developers. It will undoubtedly increase the cost to Hire App Developer in India. On the other hand, an app that scores lower on the number and quality of features can be developed at a lower price. The region of the development company can have an impact on the way that developers in various nations around the globe charge differently. The hourly costs of a developer in the U.S. will be different from that of a developer in Europe. The developers in the Indian subcontinent can provide the same, high-quality services at a reasonable rate. Then you also have to decide whether you want to develop your app for the Android users, for the iOS, or both. It will command your development team hiring process as it will decide the skills that you want in the team. It will also dictate the number of hours that will be spent on developing the app. This will be reflected in the costs accordingly. Having known so much about the costs involved, let us have a rough estimate for an average Magisto-like-app. Developing an app with minimum features for a single platform would cost around $10,000-$30,000. But if you want to build your video editing app for both platforms, then the price may increase and go up to $45,000. A lot of things need to be taken care of before you decide to venture out and finalize the mobile app development company. The convenience of your target audience should be your goal if you want to make a profit out of your app. To roll your app on the floor, you also need a well-structured team to take care of the various aspects of the app development process. You must have a rough estimate of the capital requirement for the development based on your plan. The way you decide to monetize your app should be well judged and must be planned while keeping the user convenience in mind. Lastly, creativity and uniqueness are the best tools in your arsenal.